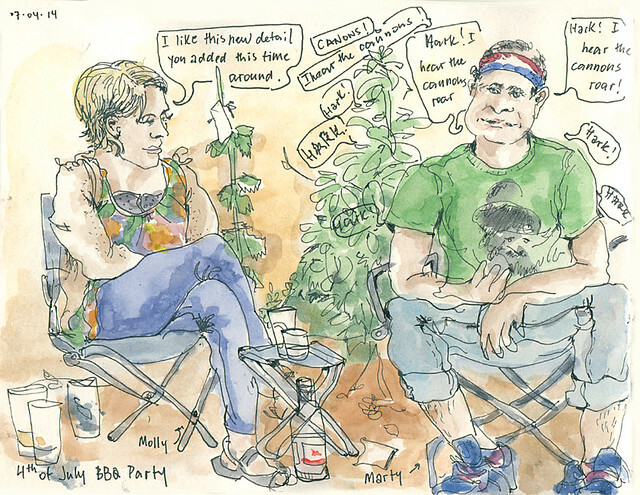 Portland Sketcher: Hark, I Hear the Cannon Roar: 4th of July BBQ with Friends! Hark, I Hear the Cannon Roar: 4th of July BBQ with Friends! The Mozart of joke telling Marty Moran is creating virtuoso variations on a joke "Hark, I hear the cannon roar!" while we relax in Stephen and Shanelle's back yard after a delicious meal.